Rail service provided by Norfolk Southern Railway, a Class I railroad, with three existing rail spurs in Dodge County. Daily switching services are provided in Eastman and rail spurs to industrial sites are available. Aviation is our future – Are you part of it? In addition to a location within two hours of two international airports, Dodge County, Georgia boasts the Heart of Georgia Regional Airport with its recently constructed 6,600-foot-long, 100-foot-wide, FAA tower-controlled ILS runway, with a landing capacity of 100,000 pounds. 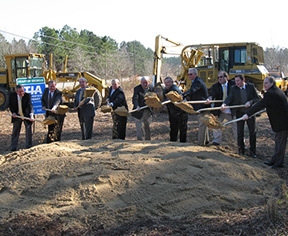 The facility will handle practically any aircraft in America. Jet A and Low Lead fuels are available 24/7 with the facility’s above-ground, credit card-controlled service. Heart of Georgia Regional Airport is the 5th busiest take-off and landing airport in Georgia. Heart of Georgia Metal Crafters, a close tolerance, five axis machining company; AREMAC Heat Treating East, LLC, a nationally recognized heat treatment company; and Dynamic Paint Solutions, a finished coatings company, all exist on Heart of Georgia Regional Airport. Machining, heat treatment and finish coating, located next door to each other on the same airport – a unique capacity that isn’t repeated anywhere in the country – means a much faster turnaround for parts manufacturing and final delivery. 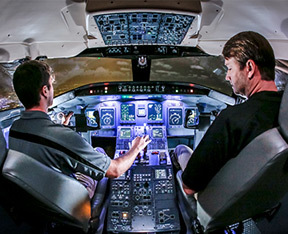 Additionally, Middle Georgia State University’s Aviation Center – Georgia’s only state-supported aviation center – operates at Heart of Georgia Regional Airport, training pilots and airport and airline management majors, and giving Airframe and Powerplant students the skills required to build and maintain aviation assets. 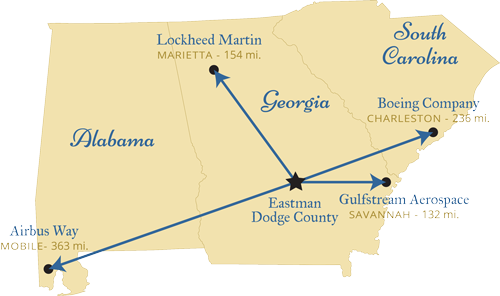 Eastman-Dodge County, Georgia is in the center of a growing aviation manufacturing presence in the Southeast. Come, expand your business and be a part of the steady and long term growth we are experiencing. Eastman-Dodge County’s leaders have been very focused on building an infrastructure to meet the anticipated demands of the aviation manufacturing community. We have unlimited land, electricity, natural gas, City water and water treatment facilities as well as the skilled, capable and industrious people, prepared and ready to accommodate your manufacturing operations. There is a 20,000 square-foot existing spec building with runway access and the capacity to build what you need where you need it. We can quickly meet your requirements and assist you in getting your business up and growing. “Let’s Build Something Great Together!” is more than just a slogan, it’s what we’re here to do!